Vacation: YOUR Way. YOUR Budget. Why Beach Monkey Travel ? Our motto at Beach Monkey Travel is: Anyone can simply vacation - let us create you an EXPERIENCE. We specialize in all inclusive vacations, including all inclusive cruises and all inclusive resorts, but that is just a little of what we do.We can help you design any vacation to any destination. Whether you are interested in a family vacation, destination wedding, or just a relaxing getaway, Beach Monkey Travel can meet your travel booking needs. With offices located in Pittsburgh, PA , Birmingham Alabama, Tampa, FL, & Deep Creek Maryland our travel agency not only offers specialized cruise and resort packages that suit a range of travel budgets but we can handle all travel needs reguardless of location.. There is a common misconception that taking a vacation is expensive and difficult. At Beach Monkey Travel, we want to show you just how easy and affordable it can be to take a vacation. With a passion for customer service and planning, our goal is to be your one-stop-shop for all your vacation needs. 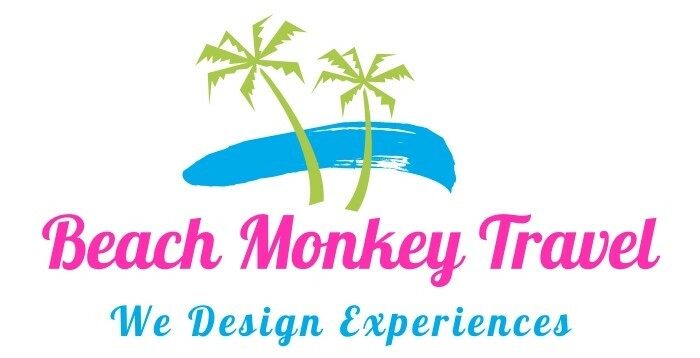 Beach Monkey clients pay nothing extra for the services that are provided by our team. You will get customer service that is unsurpassed within the industry along with a concierge that designs your trip down to the last detail. When you choose our travel agency, you work with an agent that listens to your requests with a high level of attention to detail. Contact Beach Monkey today to begin planning that much needed vacation. We will match or beat any price you find online. Visit Our Facebook Page for Daily Deals. Click Now and Follow Us.